On this portal you find all training materials and contact information to help you process your translation requests with TransPerfect on the GlobalLink platform (serviced by Translations.com). GlobalLink TransStudio Review is a java-based review and editing tool designed to improve the way in which reviewers work. TransStudio Review provides an intuitive collaborative environment where Term Manager glossaries can be accessed directly enabling reviewers to work efficiently. 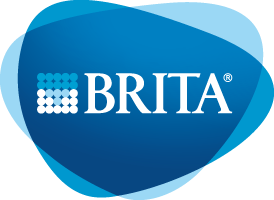 Translations.com and BRITA have teamed up to offer this workflow tool designed to simplify your globalization efforts. Regardless of the department you work for, you'll be able to leverage each other's historic work and build off of existing successes. There are two types of projects configured in Project Director: one for manual submissions made directly through Project Director, and one for submissions made through an adaptor to BRITA Text Management Software (BTMS). When submitting files for translation, you can choose amongst the various file formats configured in Project Director for BRITA. It is important to note that the default file format recognizes ALL text in your source files as source text for translation. If you do not want text picked up as source, please mark it as hidden text (MS Word or PowerPoint), or hide the rows and columns not for translation (MS Excel). If you have specific instructions for what text should be picked up as source, please enter these in the instructions field. A Translations.com Project Manager will then do the necessary file prep to ensure only the source text you wish to have translated is picked up by Project Director. Please remember to fill in the Preflight Check List (available here for download), and add it as a reference file when creating manual submissions. You will then be contacted by the TransPerfect project team to review the check-list as well as any specific instructions for the project. TransPerfect Pricing Information is available here for download. Translations.com and BRITA have collaborated in the creation of language-specific Style Guides, available for download below. Please choose the relevant target language and click on the link to open or download the file. If you have not used GlobalLink before, please review the documentation available on the Home and Training pages. Should you have questions for Translations.com on the process or our capabilities, please reach out to support and someone will provide assistance immediately. Submitter: Order role for translations. (In most cases, the GmbH text owners.) Can see all submissions for tracking purposes, and can create, edit, and cancel submissions. Can approve quotations, and is responsible for the final Supervisor Review step after Country Review. Viewer: Can view and search, but not edit, glossary terms. Editor: Can view, search, and edit glossary terms (including custom attributes). This page hosts GlobalLink Training materials created for BRITA. In this section you will find the most Frequently Asked Questions regarding GlobalLink. GlobalLink Project Director is supported by the following browsers: IE9 and Google Chrome. Additionally, a 2Mbps Internet connection speed is recommended. If you have forgotten the password to login to Project Director, you can request for your password to be reset. On the System Login page, click on Forgot your Password? link. The Reset Password dialog box appears. Enter your User Name as set up in Project Director and click Reset Password. Your new password is sent to your email address. For help on BTMS, please click here. Intuitive Interface TransStudio Review requires minimal training – users can even map shortcuts and keystrokes from other TM tools, resulting in rapid user adoption. Confidential The material on this page is intended solely for BRITA, and their employees that utilize Translations.com services. Contents shall not be unlawfully distributed. © 2015 Translations.com. All rights reserved.